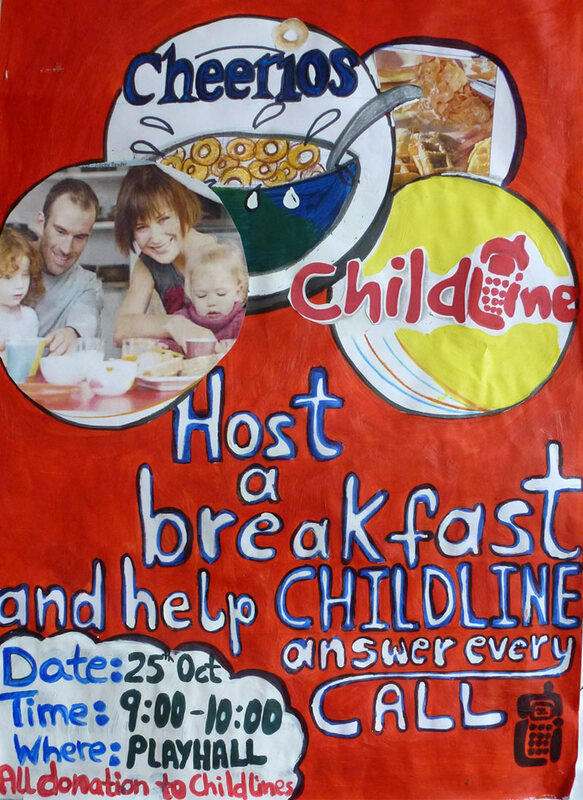 The girls from 4B/C and 4D are organising a Breakfast next week to raise funds for Childline. They are looking for donations of cereals, fruit juice, yoghurts, fruit, pancakes, muffins or anything else that is suitable for a breakfast. Everyone is invited to attend, and the charge is €2.